This kratom guide will teach you how to use it so you don’t have to spend more time looking for guides and information. We’ll cover all the types of strains that produce their own unique effects and correct dosage so you get a great experience. You’ll also learn which type is best for pain, depression, opiate addiction, and much more. This will make it clear for you what kratom to buy for your specific needs and wants. 8 Where Can I Buy Kratom? Kratom, also known as Mitragyna Speciosa, grows in the Philippines and Southeast Asia. It belongs in the same family tree as coffee. Some see it as a dangerous, harmful drug, but nothing can be further from the truth. Kratom also consists of phytochemicals such as triterpenoids, flavonoids, and secoiridoids compounds. The plant chemical within kratom provides many health benefits for individuals seeking a natural approach. Pain Management: Countless people now use kratom instead of pharmaceuticals. Two alkaloids in kratom are similar to the human body’s endorphins and enkephalins. Kratom wipes out your body’s perception of pain. It can deal with the thoughtest pains. Migraines, arthritis, back, neck, chest, and abdominal pain to name a few. Opioid Addiction: Kratom mimics opioids and “tricks” the brain it’s on opioids. Heroin addicts use kratom to heal themselves during the withdrawal stage. It works with other addictive drugs that affect opioid receptors in the brain. Diarrhea: Kratom interacts with the parasympathetic nervous and regulates peristalsis. This combats diarrhea. Antioxidant: Kratom has antioxidant properties similar to the body’s own system and combats cancer. Inflammation: The primary plant chemical, mitragynine, has shown to lower inflammation. Depression and Anxiety: Kratom releases serotonin and endorphins and soothes nerves and enhances overall mood. It can also combat insomnia due to the sedating effects. Kratom has been used for centuries in Southeast Asia by farmers who chew the leaves to get more energy to work in the field. In Africa, historically, the stem bark has been used as a traditional medicine for wounds, fever, gonorrhea, hypertension, malaria, and leprosy. Today, it’s widely used to kill pain, reduce anxiety, improve sleep, and boost energy. Some people use kratom to treat opium addictions. The brain is “tricked” to believe it’s on opioids so the user can recover and return to natural state. Kratom is also a super effective painkiller due to how it interacts with the human body. Two well-studied alkaloids in kratom can stimulate the brains opioid receptors like a typical opioid mechanism. These alkaloids are known as mitragynine and 7-hydroxmitragynine, the last one about ten times more potent than morphine. But it doesn’t work exactly as morphine, which is good. The simple answer is no. Kratom is a partial agonist of the opioid receptors. Cheese has opioid molecules but that doesn’t make cheese and opiate. Kratom works on the same brain receptors but with partial potency. It’s not clear yet if kratom works exactly like morphine on the brain. `What is kratom like? The effects are heavily regulated by the dose. A small dose can boost energy, mental acuity, social skills, and strengthen your immune system. Higher doses are sedative and recommended for chronic pain and opiate withdrawals. You’ll also feel calm and more in tune with your emotions. Some describe this stage as a dreamy vibe. If you end up here, listen to your favorite music. Be in a dark room with eyes closed and enjoy the peaceful state of mind. However, the sweet spot is to take a moderate dose. This is where the most wanted effects are. Experienced users are now trying different kratom potentiators to enhance the effects and make it last longer. Kratom can be consumed raw, which is the standard approach in Thailand. In other countries, it’s more common to make kratom tea or mix the powder extract with water. Since kratom tastes bitter, people mix it with orange juice to hide the taste. This method also activates the alkaloids and empowers the effects. Capsuled kratom does exist as well but it’s more expensive. Boil kratom for quite some time, and eventually, it turns into a dark substance that looks like a rock. Kratom resin extract is potent based on how much grams used in the process. You only need to eat a small slice. These are hard to find. Not recommended for beginners. Tinctures are dissolved leaves in ethanol. Very concentrated and potent. You only need max two drops under the tongue. Kratom Tincture isn’t for beginners as they can mess up your tolerance for weeks. Powder is much better anyway. You can use kratom and spice up your sauces, yogurt, pies, brownies, and so much more. The possibilities are endless. The key is to maintain a balanced ratio so your food still tastes as it should. However, note that the effects will come slower because the alkaloids are “competing” with the food to get digested. This kratom strain guide will erase any confusions you have about the plant. Kratom comes in different colors and this produces different effects. Everyone has unique biochemistry and will have a different kratom experience. The alkaloid content depends on the origin of kratom, age, and the time of the year its harvested. Kratom needs a lot of care and nutrients to be effective. Because of the different regions processing methods, kratom has spread itself into different strains and colors. All which produce their unique kratom experiences. Here’s an infographic about the different colors and their unique touch. Malay can produce intense euphoria and provide you with a gentle energy kick. Forget about gentle if you decide to take Super Green Malay. This exact strain is one of the best of the greens. It offers high-energy, happiness, and pain relief. This famous strain is known for producing intense energy and stimulative effects. Not for everyone. But still the most dominant strain. Red Thai is one of the best strain for pain and opioid addiction. Thai kratom, in general, is a dominant energizer. Good for productivity and to replace your morning coffee. White and green are more stimulating and useful for depression and anxiety. But you won’t get the same pain relief as red. A budget strain due to quick growth and the size of the leaves. Bali is good for your mood. However, don’t rely on stimulative effects. It’s also a great strain if you decide to quit kratom if you developed dependency. Red vein bali is a potent strain that can restore natural sleep patterns. It can silence mind chatter, which makes falling and staying asleep fast and easy. You might find it laborious to get up from the bed in the morning. Similar to Bali. Red Borneo is one of the most sedative strains. Good for addictions, pains, and to induce euphoria. Green borneos are good stress and anxiety relievers. Often admired for lacking side effects. The less charming, white vein borneo, has a unique offer. Pain relief, clean energy, and relaxation without making you lazy. Indo is like borneo. Most people can’t tell the difference between the two, only a fanatic kratom user can. Indo has fewer side effects and recommended for beginners who seek pain relief and improved mood. Meng Da is stimulating and popular among people who seek pain relief if the strain is red and energy if it’s white. Probably the best option for you who want a natural painkiller that’s not as sedating as thai. If you’re merely looking for stimulation in kratom, white maeng da is your best friend. Preferably the ultra enhanced version that’s infused with pure alkaloids. Kratom comes in many forms and smells. Some strains do a better job to kill pain and others are more sedative. Here’re the good ones that perform well for different needs. 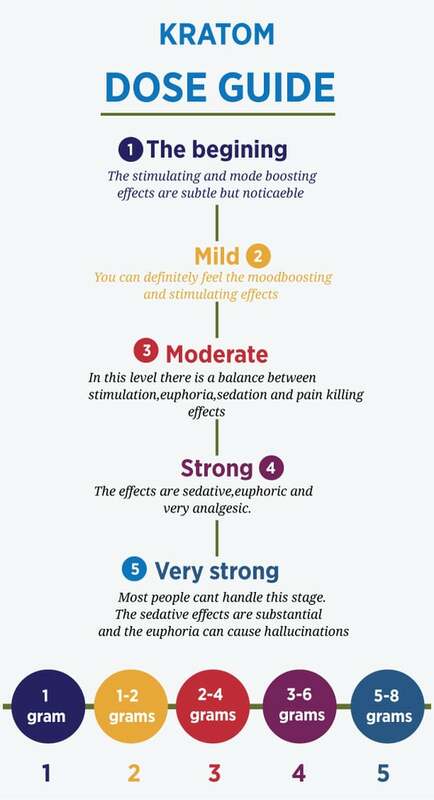 Pick the color red and take moderate to high dose depending on how much in pain you are. Pick the color green and take a moderate dose. Severe anxiety? No problem. Take the red strain. Pick white and green colors because you need to see what your unique body chemistry responds well too. Green are usually the best mood boosters. The immune system. It keeps away toxins. Fungus. Parasites. Bacteria. Germs. Pollutions. Carcinogens. And virus. All on autopilot so you can enjoy the human experience. People who use kratom report reduced sickness duration. And how often a sickness occurs. Pick green strains and take a moderate dose when you feel you’re getting sick. Cognitive enhancement from herbs is not a secret. Kratom improves memory, attention, and mental acuity. You should get a moderate dose of White Maeng Da if you want the nootropic benefits. Nootropics is another huge blooming trend. The word nootropic is substances that enhance cognitive function. Just because kratom is natural doesn’t make it safe. Generally, it’s safe to use if the user has the right mindset. In this chapter, I talk about the side effects and give you some safety tips. Never drive while you’re on kratom. Never take kratom if you’re pregnant. No research on how kratom affects the fetus is available. It’s best for pregnant women to leave it alone for now. Never mix kratom with prescription drugs. Mixing drugs sounds like a no-brainer. But it’s worth to know that there’re three death cases when kratom was combined with Tramadol. Avoid kratom if you have low blood pressure, renal and cardiac problems, ulcers, and schizophrenia. Under no circumstances should you combine kratom with high doses of caffeine, alcohol, cocaine, or amphetamine-like drugs. Avoid Benzodiazepines at any cost. It can be deadly because it makes breathing difficult. Kratom can be addictive as coffee. The plant makes you feel good. The more you take, the more you need to feel good again. Addictions are common for people who use kratom every day for recreational purposes. Side effects depend on the strains and how you consume kratom. Kratom extracts are stronger compared to raw, plain leaf. And they can induce unpleasant side effects. 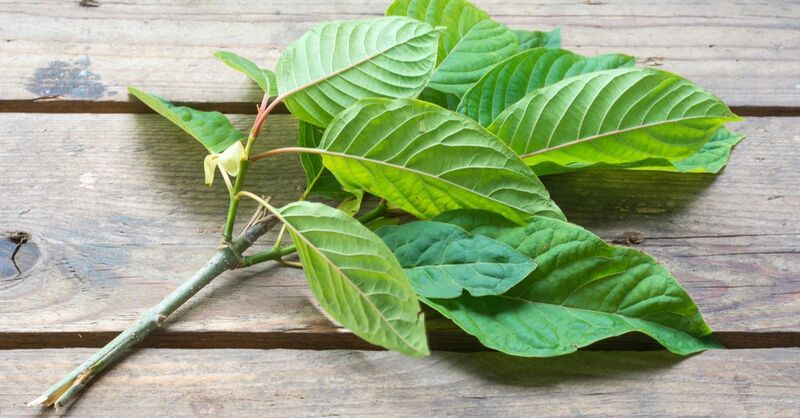 High doses can cause constipation because of diarrhea controlling qualities of kratom. Not common. It can be avoided if you increase your fiber and water intake. Vomiting is also a side effect with high doses. Some people report they experience an upset stomach because they are sensitive to the leaves. If you have a sensitive stomach, you can use a more concentrated form of kratoms like tinctures or mild powders. You can also experience the “kratom hangover” if you take a large dose and then suddenly stop. Be thoughtful with your dose, and you should be okay. Too much kratom can also throw your sleep cycles off guard, which is Common for people who use a stimulative strain late at night. Overusing kratom builds up a tolerance, and the positive effects are no longer felt. How much tolerance depends on the potency of the strain and individual biochemistry. Avoid tolerance by not taking anything from time to time. Let your receptors return to their normal state. Try to change strain, so you don’t get the “single strain syndrome.” People who switch to another strain from the previous one report it’s almost like the first time they tried kratom. Where Can I Buy Kratom? You can now find and buy kratom extracts online. First, make sure your source is a reputable kratom vendor and offers you samples. Some people live in places where you can get it locally, but it’s like playing lotto: you don’t know for sure if it’s high quality. Some people encounter fishy kratom infused with other herbs. The worst kind of place to end up. Do they have a contact page? How is the kratom harvested? Mature trees only? Avoid vendors that name their kratoms with weird names such as killer-kratom or Super-kratom etc. Kratom (Mitragyna Speciosa) is a tall tree related to the coffee family. The leaves are packed with alkaloids, which produce the many health benefits. Pain relief, relaxation, better mood, and increased mental awareness are the most sought after. Everyone will have unique kratom experiences based on strain and color. Kratom has cured people of opioid addiction. This is because the chemicals work on the brains opioid receptors as a partial agonist. The plant is psychoactive and can cause side effects if you aren’t careful. If you have more question don’t hesitate to post in on the kratom forum. Traditional and non-traditional uses of Mitragynine (Kratom): A survey of the literature. Loved it! I really appreciate your researched article on Kratom along with great infographics on vein colors. Furthermore, the way you described the dosage guide is tremendous. Thank you so much. Very, very informative information about Kratom. Thank you.